I have a new obsession. It’s called passion fruit and white chocolate ganache. It sounds bizarre and I did get it from Gourmet Traveler (the Australians are known for their unusual tastes – pineapple on burgers anyone?) but it actually works. 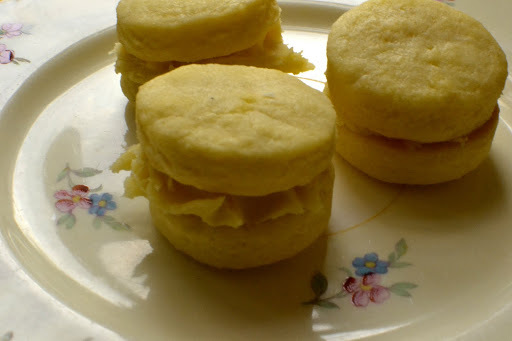 The white chocolate is overpoweringly sweet so the passion fruit hits the right spot of slightly tart. It’s amazing. I’ve made it for the filling for passion fruit cookie rounds. They are super cute, like something out of a kiddies birthday party and they have fixed my 4pm slump. Now I’m just not sure what to do with all of them. Tea anyone? 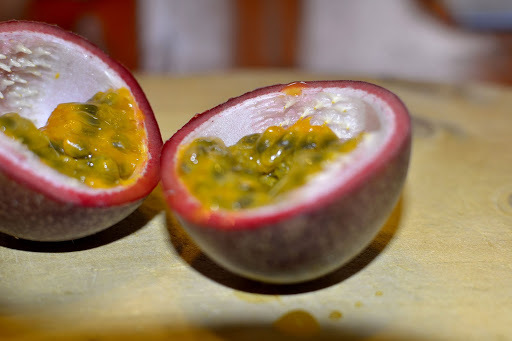 Chuck all the passion fruit pulp, including seeds, into a blender and blend for about 20 seconds. This will loosen the seeds away from the pulp and juice. Strain this into a jug. 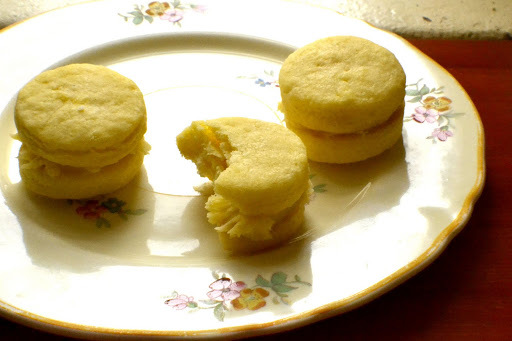 It takes approximately 12 passion fruits to yield enough for the ganache and the cookies. Heat the cream, juice and rind until scalding. Pour over the white chocolate and stir until smooth. Extract the rind. If not using straight away, store in an airtight container in the fridge. This will keep for a week. Cream the butter and sugar until white and fluffy. Add in the juice followed by the flours and mix until the mixture starts to come together. Turn onto a lightly floured surface and form into a ball. Refrigerate for one hour or overnight depending on your organization level. 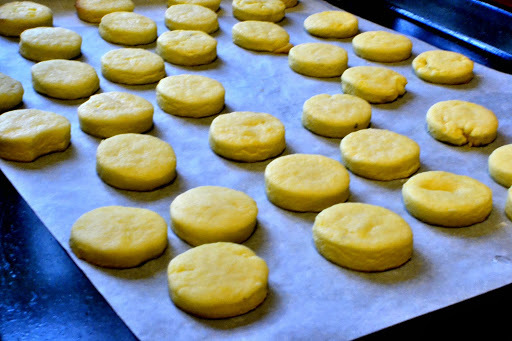 Roll this dough on on a floured surface until half a centimeter thick. Feel free to make them thicker than this if you so desire. Cut with a round cutter, approximately 3cm in diameter. Bake for 10 minutes, until slightly golden. Allow to cool completely before filling with the ganache mixture.